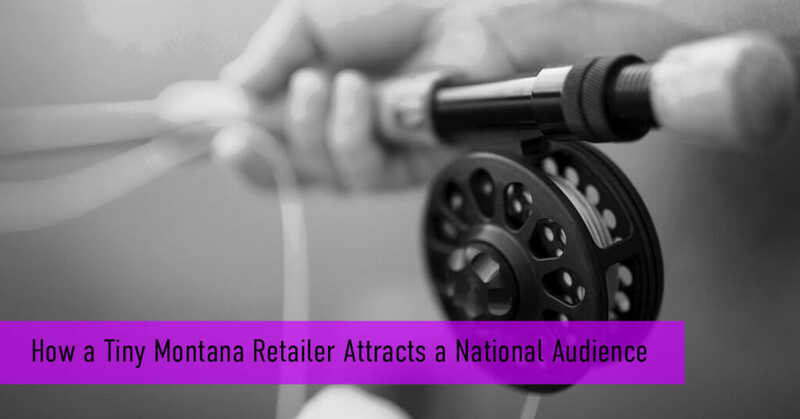 Last month Wolf Creek Angler was featured in the Helena IR, The Billings Gazette and The Missoulian newspapers. Check out the article here. 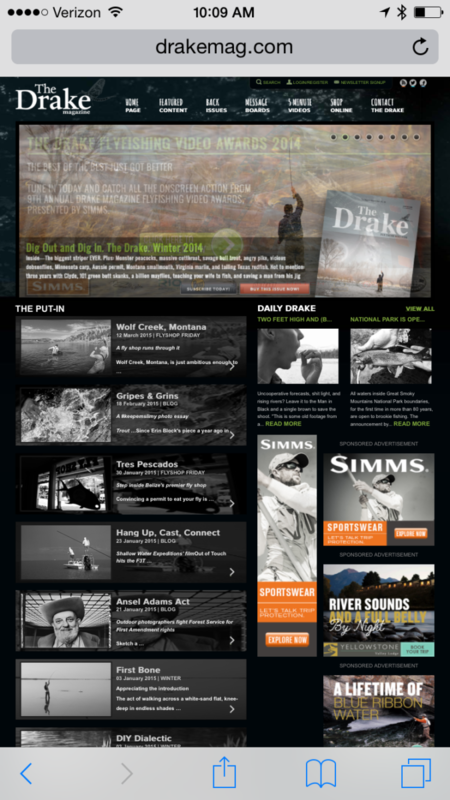 Home Page of The Drake Online with Wolf Creek topping the list of features. Our shop showed up in The Drake on-line Fly Shop Friday feature yesterday and while I downplayed it a little when I shared the link on our Facebook page I just want to share what a huge deal this actually is for us. Like I told The Drake during our interview, it’s not quite the cover of the Rolling Stone – but in my mind it’s damn close. It is the on-line Drake so we aren’t actually in print but that doesn’t make any difference to me. It’s all part of the realization of a dream for me. 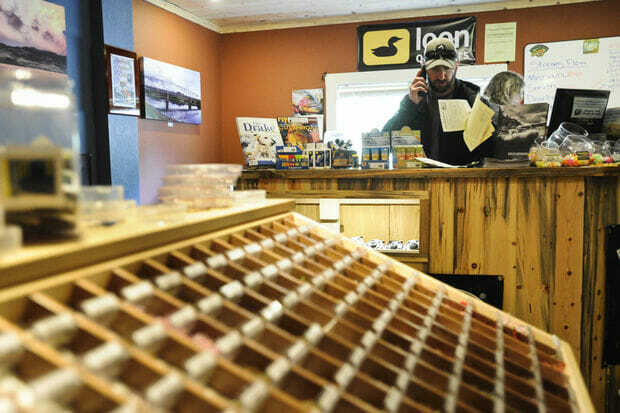 I remember buying my first copy of The Drake in Traverse City MI somewhere in the early 2000’s. It was very early on in my fly fishing development. 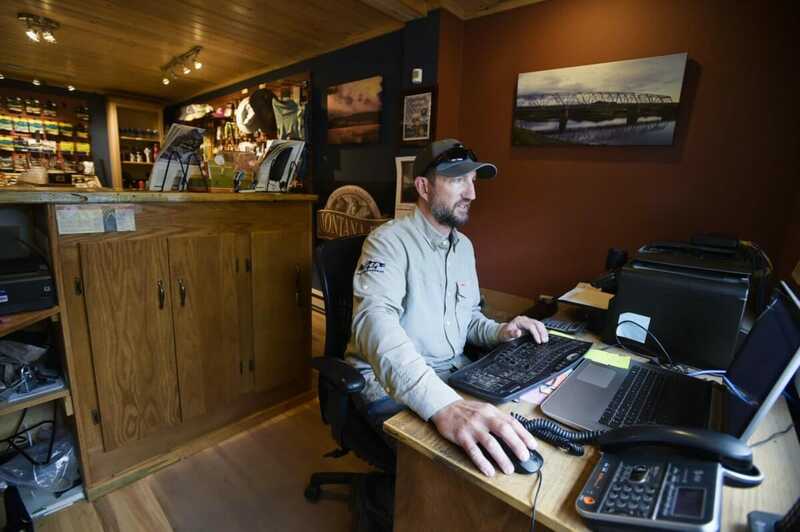 Before guiding, before ever having been to Montana, and certainly before ever having thought anything about owning a fly shop. I thought it was the coolest rag EVER and I haven’t missed an issue since so when I got an email from The Drake asking if we would be interested in the feature it was an extremely humbling and emotional experience for me. To see our shop featured here and to think about how much things have changed in our lives since picking up that copy of The Drake is an amazing thing. We are truly stoked to be here. Here in The Drake and here in Wolf Creek doing what we love. 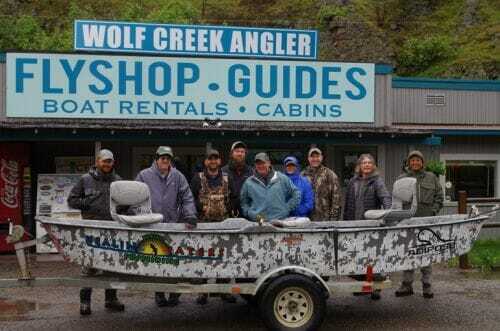 See you at Wolf Creek Angler! Cheers!